We offer our customers an engraving service--many of our items can be engraved, such as rings, crosses and other pendants. But there are some restrictions because of very practical considerations. 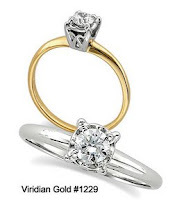 For instance, some pendants may be "hollow" on the back, meaning that its surface is not flat, but is molded in such a way that the back is concave (this is done to reduce the amount of gold used to make the pendant, thereby keeping the cost down). 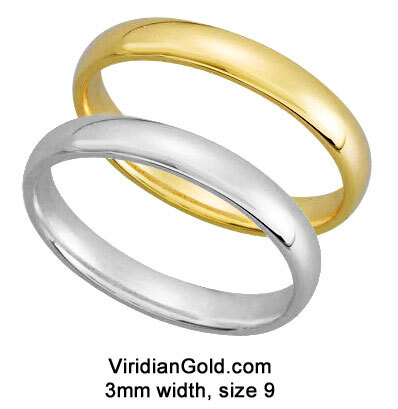 Or, the size of the item may be too small for engraving--gold wedding bands, for instance, need to be no smaller than about 3mm to leave room for readable text! Usually, if an item can be engraved, we will state this in the description, but if you have a question, please feel free to call or email us! 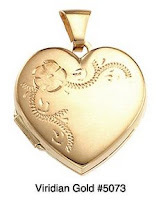 Some items, such as lockets, do not have flat surfaces and are easily dented by too much pressure during the engraving process. So, using a computer-controlled engraving machine would probably damage most lockets! That is why all of our engraving is done by hand, by an expert jeweler who takes great care to avoid deforming the jewelry item. It's the old-fashioned way, but it also gives you the best results. And, engraving is a personal thing, so we will always call or email if we have questions about your engraving instructions!